The Remainiacs - the media included - are reporting that Nissan is suing Vote Leave for claiming that they support Brexit in referendum leaflets. This isn't true. Vote Leave hasn't claimed that Nissan is supporting Brexit, merely that Nissan has said it will continue to invest in the UK regardless of the result of the referendum. Nissan's stated position is that they support neither campaign, would prefer us to stay in but will not be reducing their investment in the UK when we vote to leave the EU. They have said that they will have to consider future investments on a case by case basis. 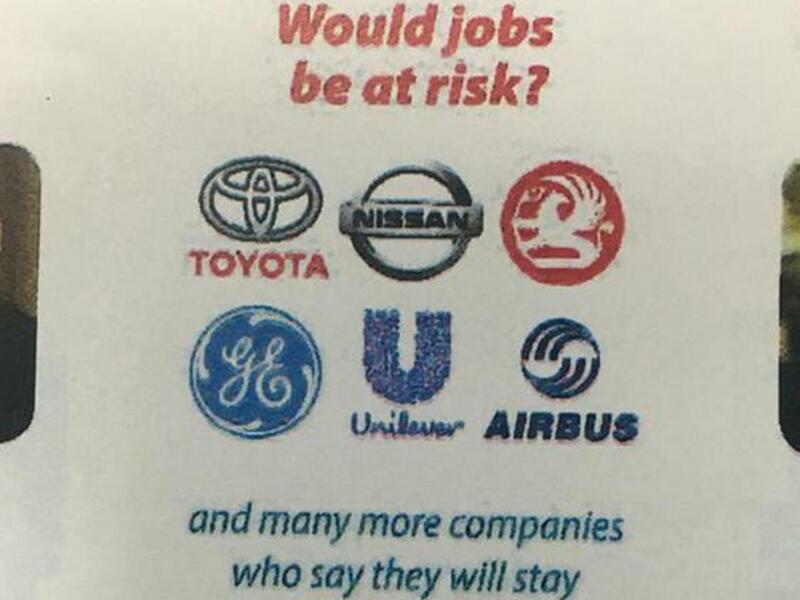 It doesn't say or imply that Nissan supports Brexit, merely that they are one of the many companies who have said that they will stay. Which they have. We are a global business with a strong presence in Europe. We have a rich heritage in the UK with 30 years of manufacturing and engineering presence, and remain committed to building and engineering cars in the country. While we remain committed to our existing investment decisions, we will not speculate on the outcome nor what would happen in either scenario. Furthermore, Nissan is not suing Vote Leave in the commonly understood meaning of the term, they are seeking a High Court injunction to prevent Vote Leave from using their name and logo without their permission and from (in their opinion) misrepresenting Nissan's position. Whether Vote Leave has a right to use Nissan's name and logo to illustrate the fact that Nissan won't be leaving the UK if we vote to leave the EU is for a judge to decide but such use of names and logos in political leaflets during an election are generally considered fair use so it's hard to see why this wouldn't be. There are specific exclusions in UK copyright and trademark law for reporting news and who could argue that this leaflet isn't reporting the news that Nissan (amongst others) has said that they will stay in the UK when we leave the EU? Nissan say that they have asked Vote Leave to stop using their name and logo but they have continued to do so. This is similar to NHS England who told Vote Leave to stop using the NHS logo on their leaflets. Vote Leave stopped printing leaflets with the NHS logo but the leaflets that have already been distributed are out of Vote Leave's hands. I know for a fact that they are still being delivered by people who don't work for Vote Leave months after printing of that version of the leaflet was stopped. No doubt that is the case with this leaflet that was printed some time ago. If Nissan has asked Vote Leave to stop using their name and logo then of course Vote Leave should respect their wishes unless they believe that doing so is fair use. If companies were allowed to prevent their names and logos being used when reporting news that would allow them to suppress any bad news coverage which is clearly not in the public interest. The case is a frivolous one in any case as they aren't seeking a hearing until Monday when the referendum will be over and the company behind Vote Leave will have already started winding itself up. The timing of the announcement - four months after Nissan say they asked Vote Leave to stop using their name and logo and three days before the referendum date - is suspicious to say the least and is most likely a Remain campaign stunt to try and discredit the Leave the campaign.